Here is it. 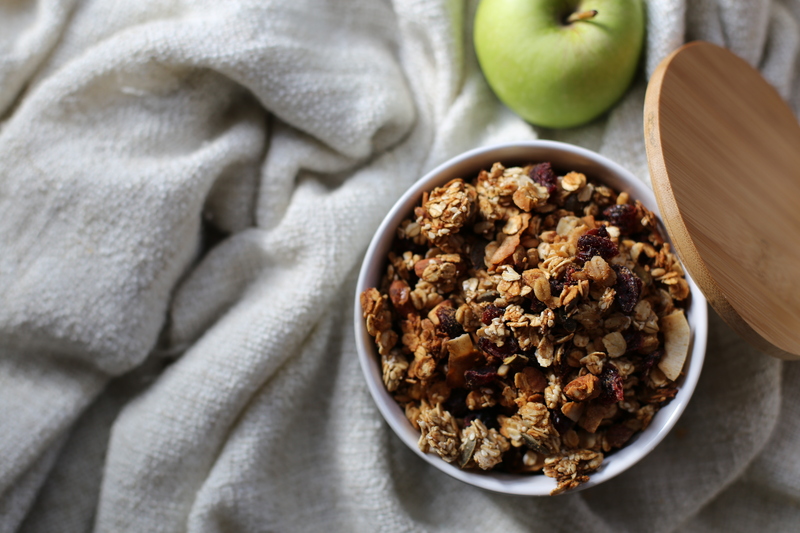 The famous, (well at my yoga classes anyway) the delicious, APPLE CINNAMON GRANOLA ! Granola is a staple in my kitchen. I always have to have a jar of it otherwise my kitchen feels naked, (same goes for my seed crackers). This is my go to breakfast, topping and snack. I adore the combination of apple and cinnamon, they are just meant to be together. 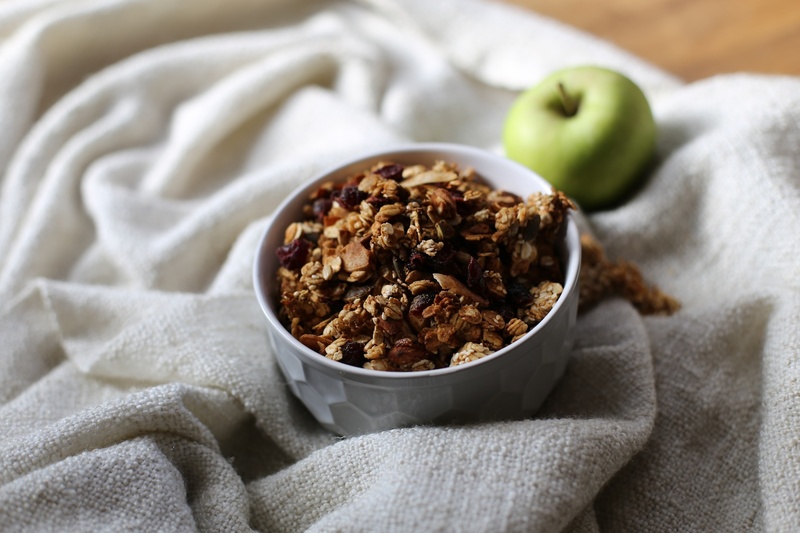 The applesauce means that the mixture is quite moist so it needs a lot less oil added than other granola recipes. It also adds sweetness which means you need less sweetener. Annndddd it helps form the most beautiful little clusters. Yay for applesauce! Bake in oven for 20 mins, then toss around with a wooden spoon. Bake for a another 20 minutes, stirring around every ten minutes until golden brown. Store in an airtight container for 3 weeks. This is my favourite breakfast granola. Thanks for the great recipe? ?